The Food Alphabet and More: Mc Donald's new Shake Shake Fries flavor - Cheesy Butter goodness reviewed!!! 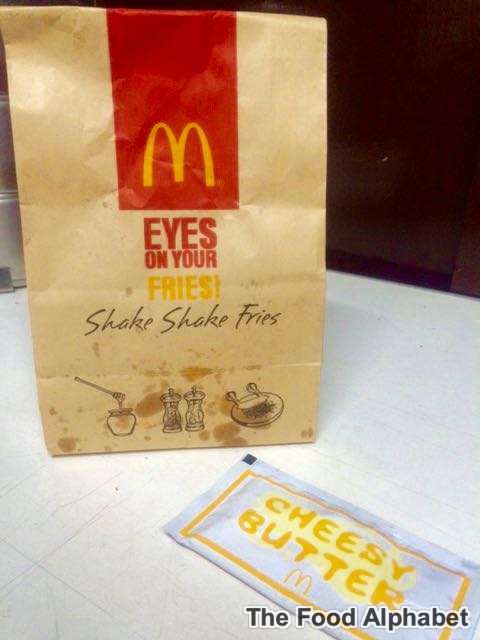 Mc Donald's new Shake Shake Fries flavor - Cheesy Butter goodness reviewed!!! 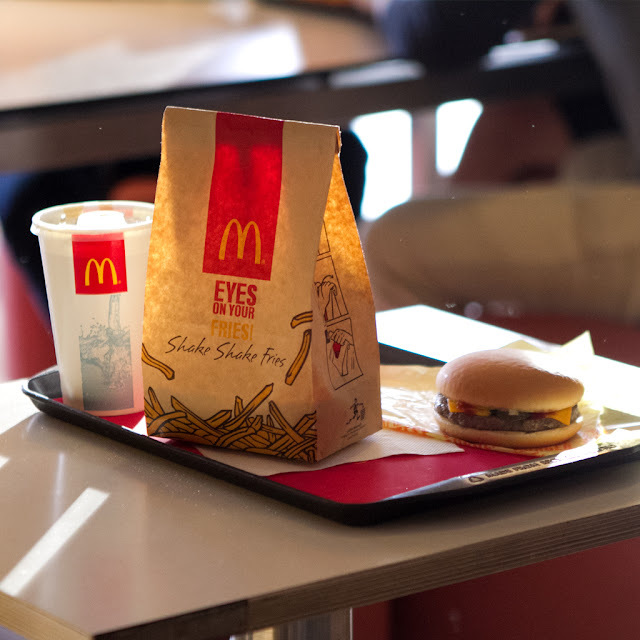 This is the next most exciting thing to happen to McDonald’s french fries! Yup next to their Twister Fries that is... but still I can't stop raving about the new flavors of Mc Donald's Shake Shake Fries! My favorite among the three? Well, we all know BBQ and Pizza Flavors right? What intrigue me the most is their Cheesy Butter flavor, not the usual flavor you get to enjoy from everyday experiences agree? So I had just to test it out! After the pouring of the powder and the shake shake action, I took a bite, and the only thing that came out of my mouth was "#$$x0%$@##%^&*(" It's so good!!!! Imagine, the cheesy flavor of fries plus the buttery scent and aroma of popcorn rolled into one hot exciting treat! I just can't get enough of it, no really, I had to go to another branch since one run out! But seriously, this is one amazing treat, to whoever thought of this at Mc Donald's "Thank you". It's like combining the best of both worlds and making them into one piece of heaven. I suggest to have your fries freshly cooked and hot with your Cheesy Butter flavor, promise you will fall in love with it. How to get your hands on one? Customers can get a free upgrade to Shake Shake Fries with every purchase of any medium or large value meal with fries. They can also opt to go for the perfect sweet and savory combination of Shake Shake Fries together with the refreshing and creamy Coke McFloat. For those who prefer to enjoy it on its own, Shake Shake Fries ala carte is also available for only P65.